Unfortunately, Numerische Mathematik, BIT, SIAM Journal on Scientific Computing (SISC), SIAM Journal on Numerical Analysis (SINUM) and Linear Algebra and its Applications do not provide free, complete articles. I have now done it a couple of times, but always have to look it up. Here are the steps to re-install Grub from a live Ubuntu CD, when you have Windows and Linux on your hard disk. You must be root, or run these commands with sudo. Change /dev/sdaXY accordingly. Above commands are from method 3 in GRUB (in German). Twin primes are two primes and . The ancient twin prime conjecture asserts that there are infinitely many twin primes. (This conjecture is still not proved.) The prime number theorem asserts that there are (asymptotically) primes whose value is smaller than a positive integer n, and this implies that we can find arbitrary large pairs of consecutive primes and such that is at most . Until a few years ago nothing asymptotically better was known. Goldston, Pintz, and Yıldırım (GPY), showed in 2005 that there infinitely many pairs of primes and such that is . A crucial idea was to derive information on gaps of primes from the distribution of primes in arithmetic progressions. GPY showed that conditioned on the Elliott-Halberstam conjecture (EHC) there are infinitely many primes of bounded gaps (going all the way to 16, depending on a certain parameter in the conjecture, but not to 2). Yitang Zhang did not prove the EHC but based on further understanding of the situation found a way to shortcut the conjecture and to prove that there are infinitely many primes with bounded gaps unconditionally! Gil Kalai goes on: Here is a very nice 2007 survey article by Kannan Soundararajan on this general area of research and the GPY breakthrough. Now some astonishing facts on Yitang Zhang from the English Wikipedia: After graduation, Zhang had a hard time finding an academic position. In a recent article, Zhang’s thesis advisor, Professor Tzuong-Tsieng Moh, recalled that “Sometimes I regretted not ﬁxing him a job” and “He never came back to me requesting recommendation letters.” He managed to find a position as a lecturer after many years. He is still currently a lecturer at the University of New Hampshire, where he was hired by Kenneth Appel back in 1999. Prior to getting back to academia, he worked for several years as an accountant and a delivery worker for a New York City restaurant. He also worked in a motel in Kentucky and in a Subway sandwich shop. Added 01-Jan-2014: Unheralded Mathematician Bridges the Prime Gap. Except notably Russia and Africa this blog has been visited by quite a number of countries. I am surprised. 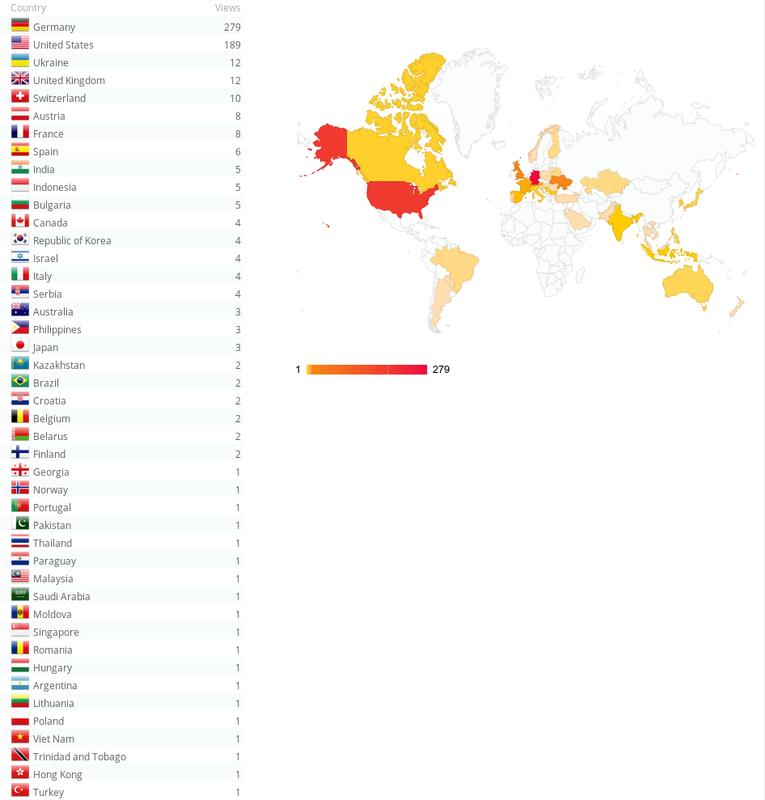 Also see Statistics of this Blog: Top Views by Country. Very interesting talk on the scaling challenge at WordPress.com given by Barry Abrahamson, CTO of WordPress. Compare this with infrastructure costs for WordPress. Below table is from work-with-us (data as of 22-Sep-2013): One of these things is not like the other. Georg Hager’s Blog: Intel vs. GCC for the OpenMP vector triad: Barrier shootout! Georg Hager’s Blog posted an illustrative article on icc versus g++ performance w.r.t. OpenMP. Dr. Georg Hager is one of the authors of Introduction to High Performance Computing for Scientists and Engineers.